His voice was one of reconciliation and promotion of a peaceful solution to the decades long struggle between the Turkish state and the armed Kurdish resistance movement, the Kurdistan Workers’ Party (PKK). It is not clear who the perpetrator is and an investigation into the murder has been launched. But if the killings and massacres of other Kurdish lawyers, politicians, journalists, intellectuals and civilians are any indication, the death of Mr. Tahir Elçi will also remain unresolved and intensify the evergrowing distrust and hostility towards the Turkish state. Mr. Tahir Elçi was a prominent Kurdish lawyer and the president of the Diyarbakir Bar Association. He was an outspoken defendant of human rights in Turkey and brought several cases regarding forceful disappearances and killings of Kurds perpetrated by the Turkish state to the European Court of Human Rights. Before his death he was leading fact-finding missions in Kurdish districts under state-imposed curfews that according to Kurdish officials and journalists have led to the deaths of civilians and put other lives at risk. According to Human Rights Watch, Mr. Elçi had throughout the years also been subjected to torture and arbitrary arrests, a practice that was more the rule than the exception for anyone involved with Kurdish rights in 1990s Turkey. In October, Mr. Elçi appeared on a TV show where he said that the PKK was not a terror organization. 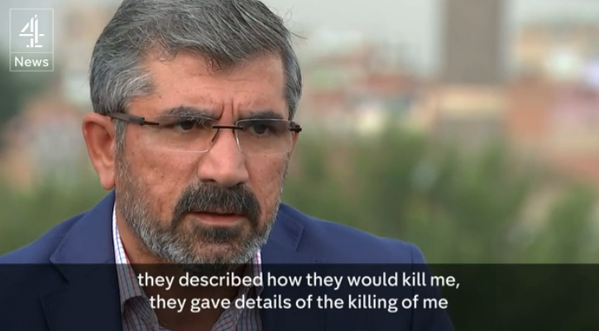 Mr. Elçi’s case led to massive expression of support but also brought about several death threats, especially on social media as he explained to Channel 4 in one of his last interviews. Not long after he was killed in what the pro-Kurdish Peoples’ Democrati Party calls a “planned assassination.” Two police men were killed and 11 people injured. But Mr. Elçi was a human rights defender and therefore almost per definition a target of the Turkish state. His life was not made easy by the Turkish state and it is an insult to his memory and what he fought for when Turkey’s Prime Minister makes his death a symbolic attack on the state. In reality, it was Mr. Elçi’s life and work that were an attack on the oppressive and brutal governments that have reigned in Turkey.